ATEX certified sensors are especially designed for potentially explosive atmospheres. 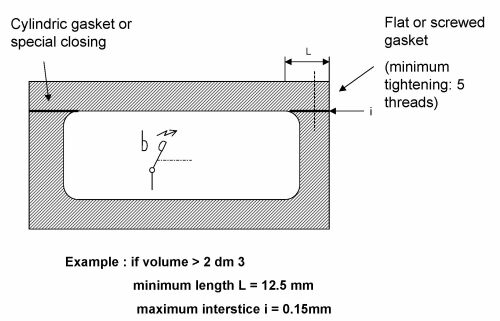 The explosion is confined inside the apparatus thanks to a very robust envelope. Flameproof gaskets, which must be regularly inspected, prevent any flame to go outside the envelope. 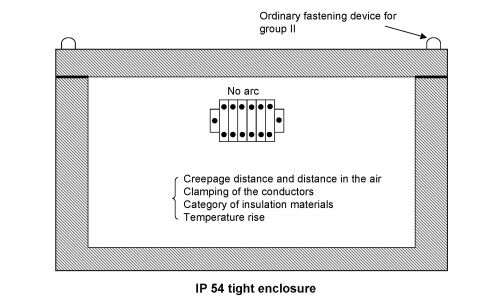 A barrier or a galvanic isolator limits the energy delivered to the circuit in order to prevent any arc or sparks from arising. 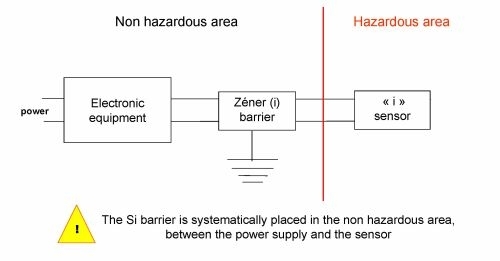 "ib" protection concept : The equipment is able to widthstand one fault of its safety components. 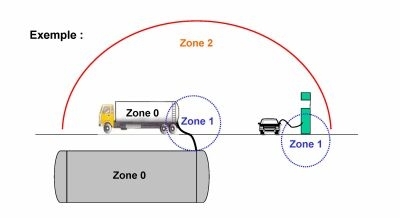 "ib" concept may be used in zones 1 and 2. 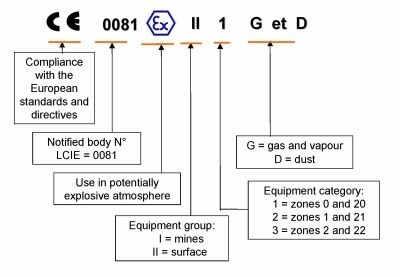 Temperature sensors produce a low level of energy and can therefore be used in zone 2 with "n" protection concept when the risk of explosion due to the presence of dust, gas or mist may occur only under very rare abnormal working conditions. In these conditions the sensors are self-certified by Correge. The components inside the envelope must not produce any arcs, sparks or dangerous temperatures under normal operating conditions. The envelope must be IP54 tight. Safety requirements impose that the maximum surface temperature of the equipment situated outside of the measure taking area be below the temperature of self-ignition of the gas contained in the hazardous zone. 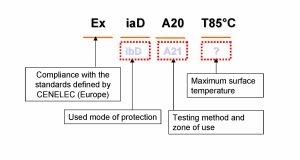 ATEX certified temperature sensros must comply with the marking requirements defined in the 94/9/CE European directive. 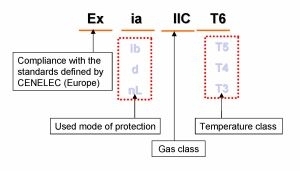 Temperature sensors with "nL" protection concept can also be manufactured, when applicable. Please contact us ! All CORREGE-make ATEX certified sensors have got the GOST R - NANIO CCBE N° 7454152 certificate. Download certificate.